2 Hours. 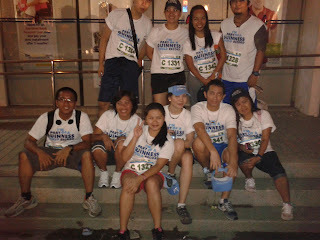 That's how long it took me ( and my officemates ) to finish 5k. Haha. I think it's acceptable naman for first time runners like us ( reasons..reasons ). :) The boys though kept on trying to impress us pero napagod din sila kakatakbo in the end. 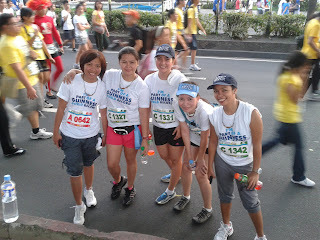 I still can't believe though that i enjoyed walking.. este "running". Maybe because you're doing it along with thousands of participants. 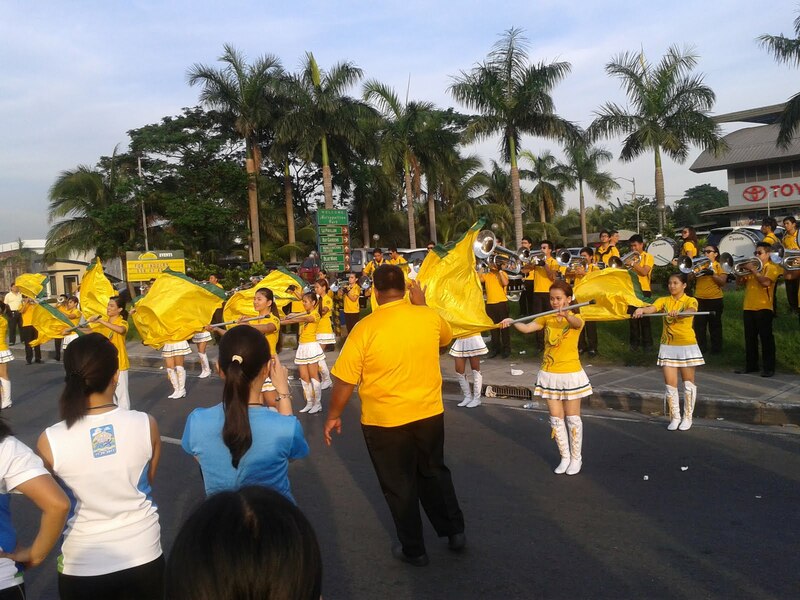 There were lots of students from different Universities, it was also fun to gaze at families along with their kids who are enjoying the experience. 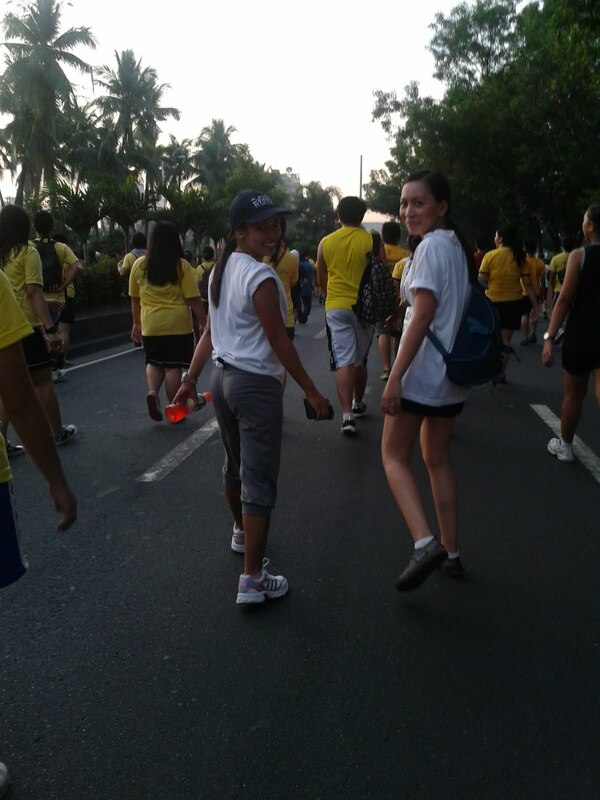 My head nga lang kept on turning 360 degrees looking for celebrities ( unsuccesful, hindi ko nakita si Papa P. ). They also gave away free laundry soap and bottled juice for participants. Felt like heaven when I saw the Finish Line! Funny. 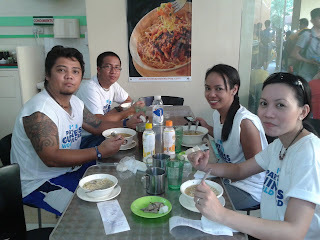 After a long and tiring run, we decided to eat a hot La Paz Batchoy at Teds. Swak na Swak sa tagaktak na pawis diba? Lol. 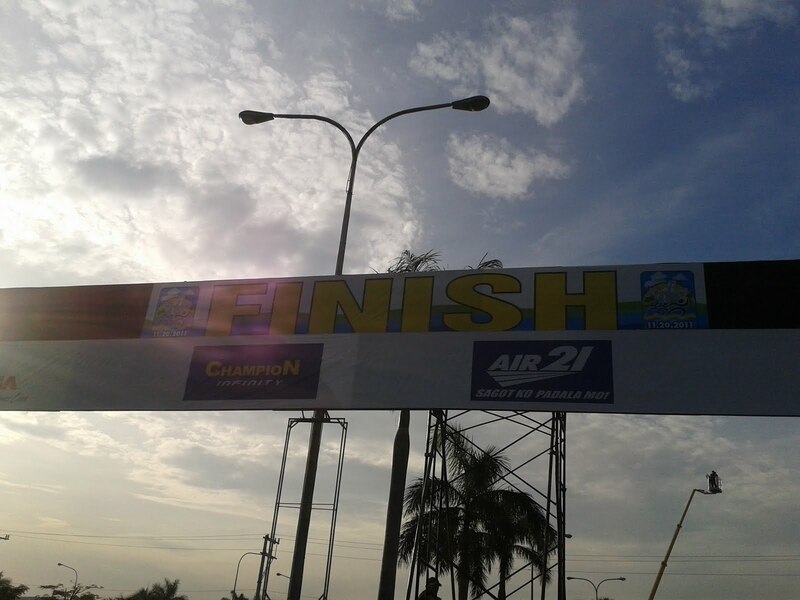 That's also because almost everyone was at MOA after the run, so almost all of the kainan were full. No choice kami.